I stopped playing my saxophone when I was pregnant for the first time. I found it hard to position it next to my expanding belly! Once Harry was born my time seemed to vanish into the baby vacuum! 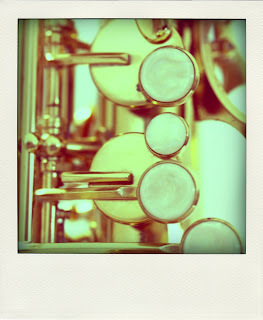 The saxophone remained in its case until now. Its back on its stand and we will become acquainted once more.